Rapidly changing technology forces any business in any industry to adapt, adopt and integrate new technologies in order to cope up with the ever growing market competition. And digital marketing approaches have become a vital part of any organization’s marketing strategy. Today, creating a quality customer oriented website is not just enough to maintain the online presence & reputation. Digital marketing strategies have become more advanced & versatile today than in the past requiring professional knowledge & skill initiate & maintain. We understand that each business has its unique objectives. 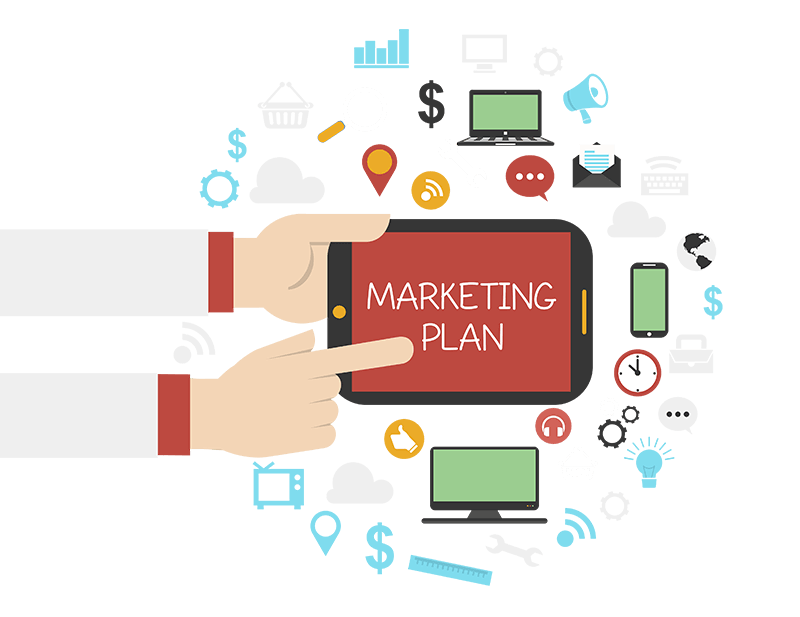 And in order to leverage online resources to achieve those objectives, it’s essential to have a carefully planned and well executed Digital marketing strategy that connect the specific business & market requirements. 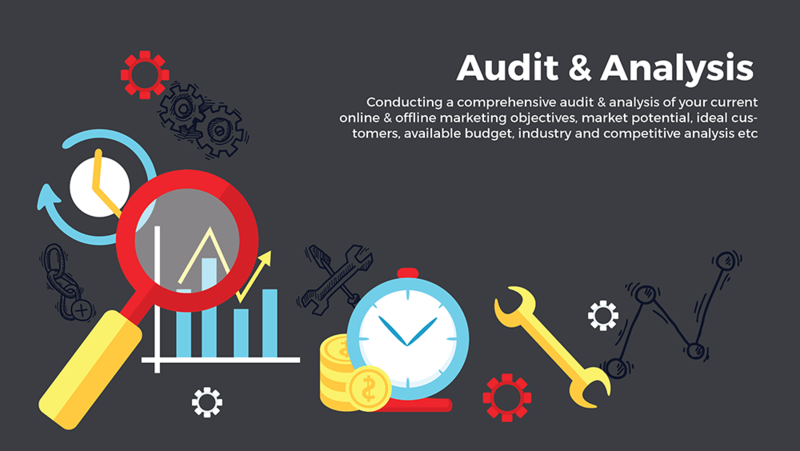 We make 360 analyses of your business and the business objectives, and then we will create a strategy that ensures every digital marketing channel is working towards the same goals. This way, you can harness the best value out of the digital technologies available to turn your potential visitors into long term customers. 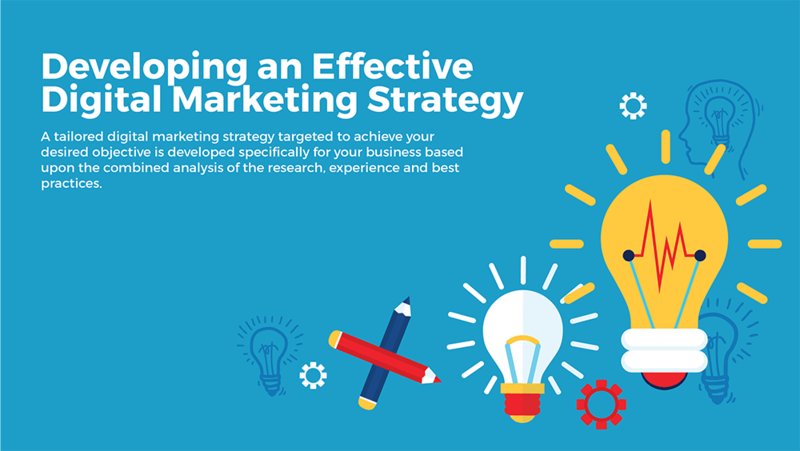 A tailored digital marketing strategy targeted to achieve your desired objective is developed specifically for your business based upon the combined analysis of the research, experience and best practices. 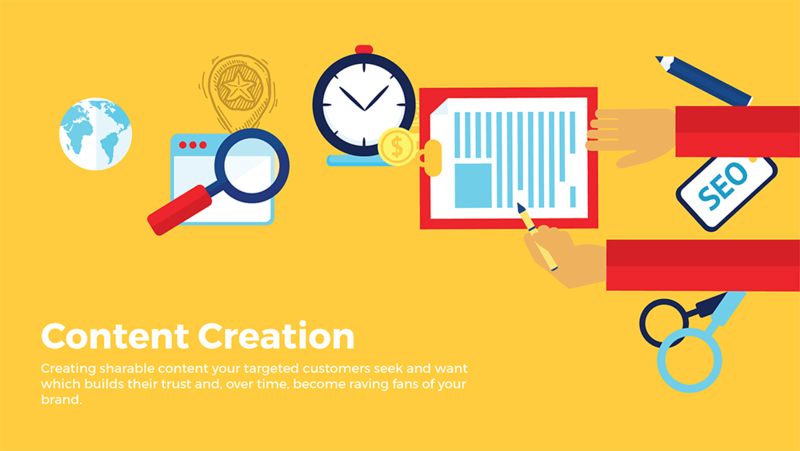 Creating sharable content your targeted customers seek and want which builds their trust and, over time, become raving fans of your brand. Strategically promote your content across the digital landscape to generate engagement and connection with your customers. If your website does not appear on the first page of the search engines then your business, products and services are not receiving the visibility they deserve. From the business point of view, this mean limited revenue from your website as a result of less traffic and conversions. We can help your business growth by increasing your presence on the first two pages of Google search results. The keyword ranking for your business could always use improvement, and we know exactly what needs to be done to make that happen. 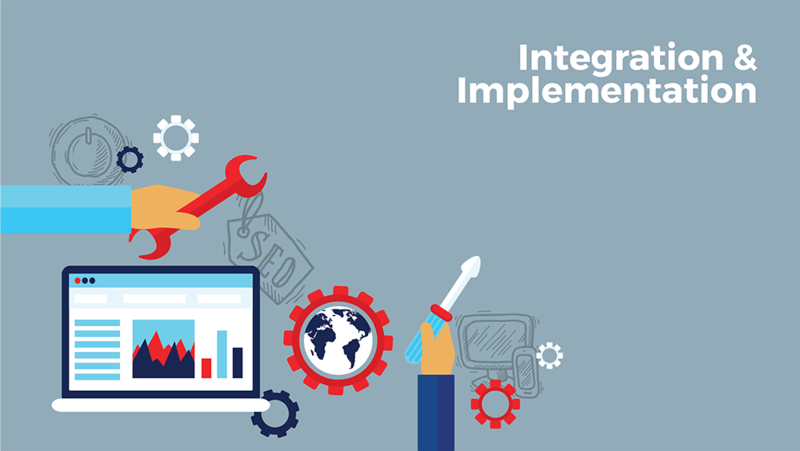 We will develop a comprehensive SEO strategy that’s unique to your business and work with you to execute this strategy, driving targeted traffic to your website. 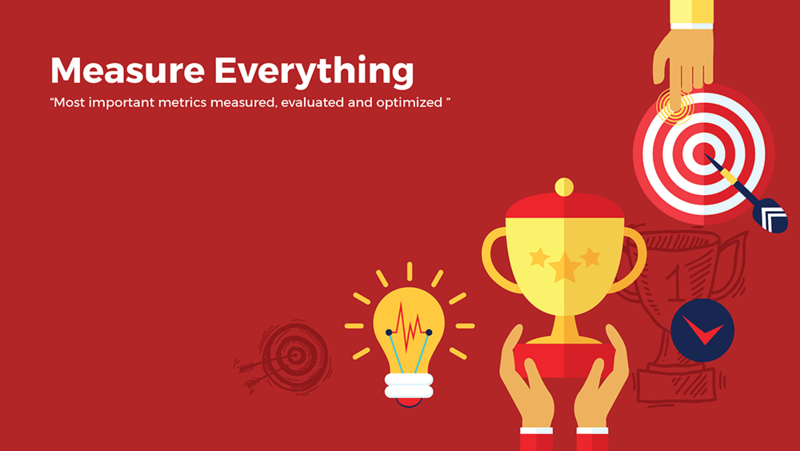 Ultimately we deliver what we promise – measurable meaningful results that drive your business forward. 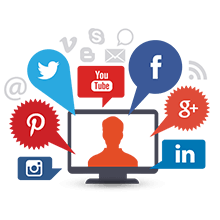 Social media is a fabulous opportunity to connect with your existing and prospective customers, engage with those who will shout about your product/brand and it’s now an important factor in ranking well in search engines. However first you need to earn the trust and respect of your social audience by adding value to their lives via social interactions & interesting content. It’s also one of the most rapidly changing marketing channels, with new features and updates constantly being released by the likes of Facebook, Twitter, LinkedIn, Instagram, Pinterest, It can be hard to keep up, or even know where to start! 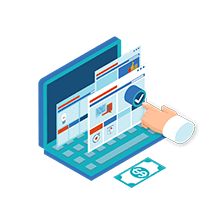 The essence of pay per click (PPC) is that you only pay when someone actually clicks on the advertisement and goes through to your website. It is comparatively cost effective since you are in control of how much you pay for each click and you can allocate daily, weekly or monthly budgets – so there is no chance of overspending. However, achieving a profitable PPC campaign has become increasingly is challenging, especially in the highly competitive markets. We create the most effective PPC strategy to drive relevant traffic to your website and convert them into leads. 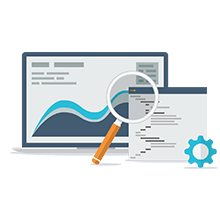 Using best practices learned through years of experience running Google AdWords campaigns, we cut through the technical fluff and implement strategies that boost bottom-line results. Generating customers and sales starts with creating and maintaining a strong presence in search results, and we can help you achieve that. Many people visit many websites, blogs, forums, and other online platforms that are interesting or useful to them. Digital marketers can reach out to these potential customers by placing relevant display ads on these third party sites. 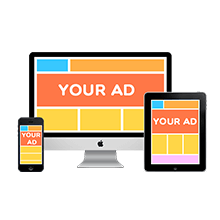 These include banners, boxes, interactive ads, video ads, interstitial ads, overlays and other similar ads that are linked to a landing page or website.